The idea of the EVOLUTION was the natural consequence of the constant search by Alberti of innovating its products. While in the past the high speed feature was only reached with the use of a gear driven spindle speeder, the new Turboflex air driven head, developed together with Nakanishi, changed the way of high speed machining and allowed higher speed with increased accuracy and run out. 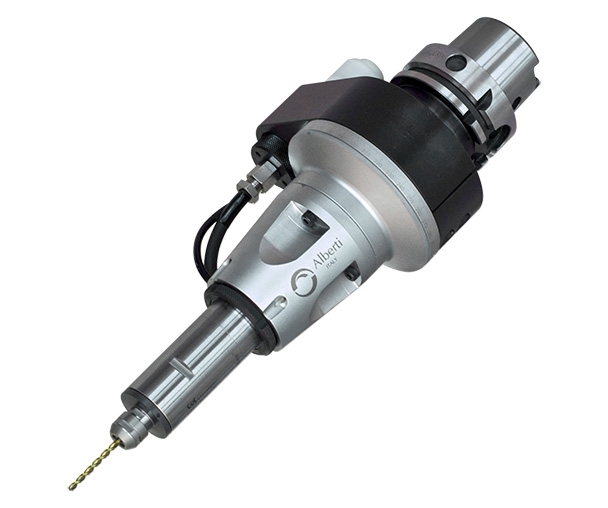 The real R-EVOLUTION, unique in its genre and therefore patented, is the outcome of Leonardo System: once again in co-operation with Nakanishi it’s and an electrospindle with ATC possibility and completely integrated with the machine tool thanks to a its controller unit. More powerful compared to the Turboflex unit and with a higher flexibility thanks to its different features, among them the RPM adjustability.